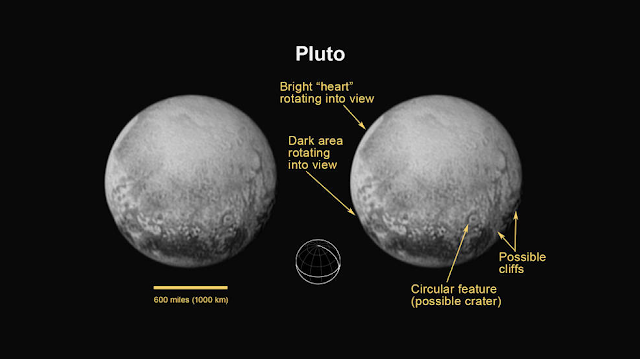 On 14th July 2015, NASA team reaches to the smallest planet Pluto. Its a big day for all the aeronautical enthusiasts as it can lead to new research and discovery in future time. New Horizon measurements reveal Pluto is roughly two-thirds the size of the moon, and probably holds more ice beneath its surface than previously thought. 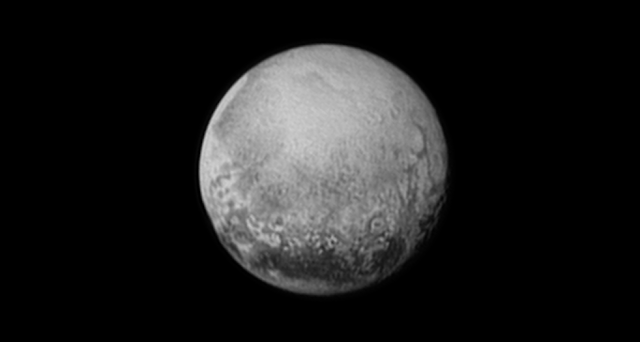 A Nasa spacecraft that hurtles past Pluto on Tuesday at more than 45,000 kilometres per hour has revealed the dwarf planet to be larger than scientists thought. 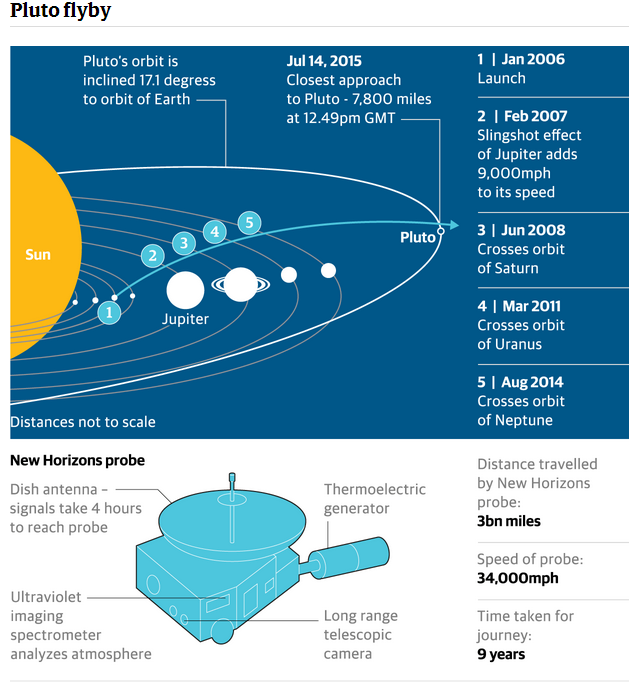 The Spacecraft took 9 years to reach pluto. This graphic presents a view of Pluto and Charon as they would appear if placed slightly above Earth's surface and viewed from a great distance. 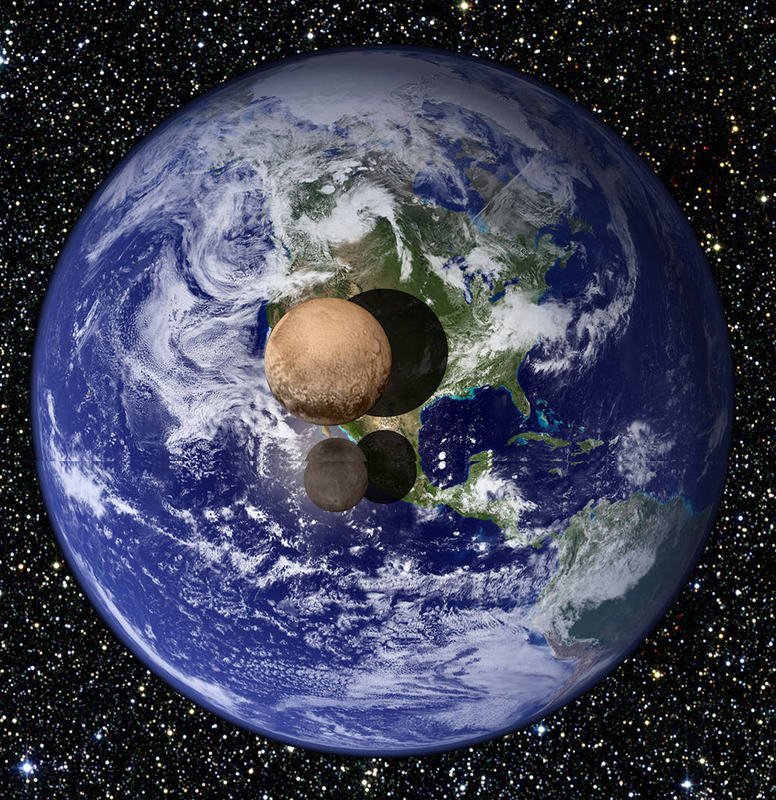 Recent measurements obtained by New Horizons indicate that Pluto has a diameter of 2370 km, 18.5% that of Earth's, while Charon has a diameter of 1208 km, 9.5% that of Earth's.